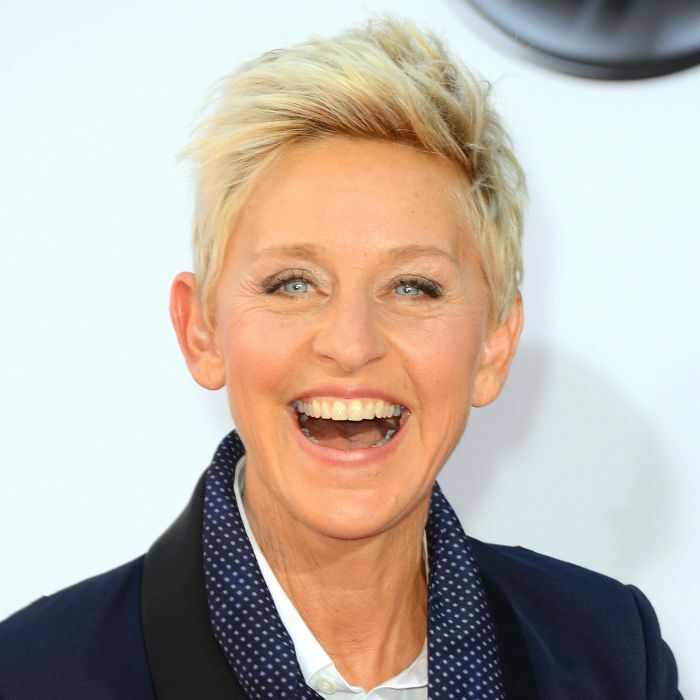 If Ellen DeGeneres's seven immaculate homes are any indication, her talents extend far beyond the talk show stage. As Elle Décor reports, the five-bedroom Beverly Hills home that once belonged to DeGeneres and her wife, Portia de Rossi, is back on the market for a casual $33.7 million. Located in the Trousdale Estates neighborhood, the home was designed by famed architect Harold Levitt in 1956 and belonged to high-end interior designer Kelly Wearstler between 2002 and 2006. Although the famously private residence is nestled behind large gates and thick foliage, the floor-to-ceiling windows, skylights, and stunning natural light manage to cultivate an open, inviting atmosphere. True to form, the estate also houses a stainless steel chef's kitchen, terrace, outdoor dining area, swimming pool, butler's pantry, music room, library, bar, game room, home gym, and massive master bathroom featuring two separate baths. Step inside DeGeneres and de Rossi's former California abode below. The home is fondly referred to as "The Skouras Residence," in reference to its very first owners in the 1950s: Diane and Charles Skouras Jr., who was part owner of a major movie theater group. Greenery flows seamlessly between the interior and exterior of the five-bedroom home. The home features a massive open floor plan and skylights, true to classic midcentury style. A floor-to-ceiling marble fireplace anchors the living room—another classic fixture of 1950s-era homes. Natural light streams in through the panoramic floor-to-ceiling windows. A home library sits at the front of the home and features an entire wall of bookshelves. The master bedroom features a soothing mauve color palette and tons of natural light. The spacious dining room, which seats 14 people, was seemingly made for large dinner parties. The massive kitchen is outfitted with chic, stainless steel appliances and sleek black marble countertops. An indoor bar area offers calming views of the lush grounds outside. A sheltered seating area on the patio offers relief from the blazing California sun. What pool deck is complete without a pool table? A second fireplace anchors one of many outdoor seating areas. A massive swimming pool is the crowning jewel of the backyard. For more celebrity home tours, subscribe to our newsletter.